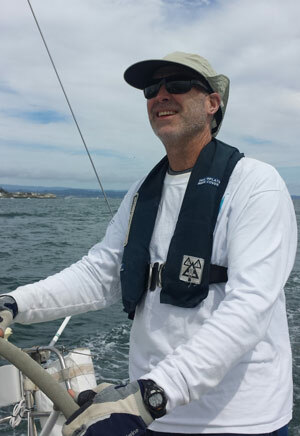 This year was the 26th annual Day on the Monterey Bay Regatta benefiting Big Brothers Big Sisters of Santa Cruz County. The festivities began with a Corporate Reception at the Santa Cruz Yacht Club on Saturday evening, August 11th. Guests and invitees dined on tasty appetizers prepared by SCYC members under the direction of Jason Lauer and were served wine donated by the Oliveri Winery. The recipient of the second annual BBBS Bob DeWitt Award was announced. Congratulations to Jack Sparks, a fantastic volunteer for over 25 years! The Corporate sponsors in attendance were presented with a plaque recognizing their contributions to the event and the work of the SCYC members and volunteers were recognized as well. The registration of sailors and boats commenced at 10 AM Sunday morning with a Skipper’s meeting at 11:30 AM. This year’s event included 30 entries in 3 divisions. 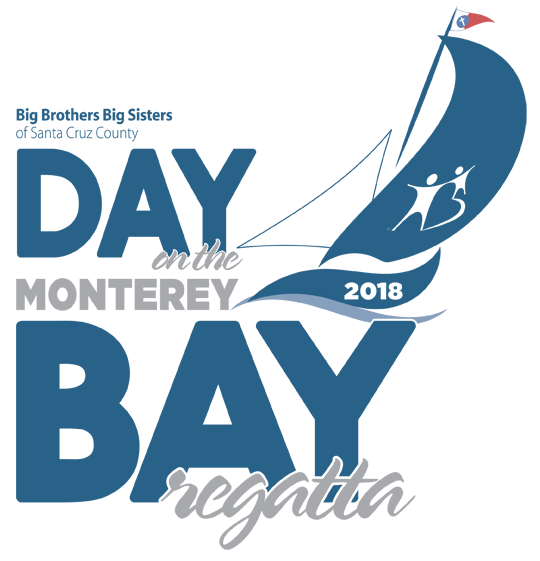 The format of the race is a pursuit race, with starting times assigned according to each boat’s handicap rating. 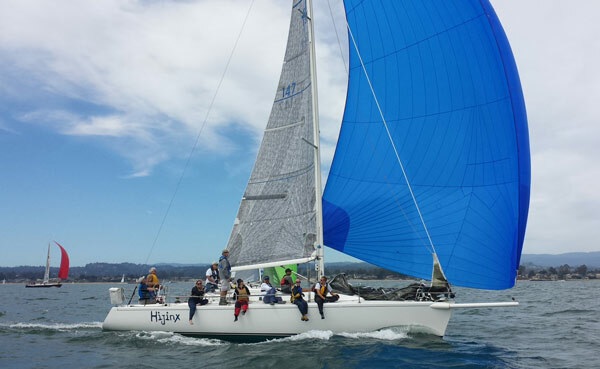 Two predetermined courses were sailed around fixed marks outside the Santa Cruz Harbor, with the larger boats sailing the longer twice-around course and the smaller boats sailing the shorter once-around course. With flat seas, the conditions were perfect for the afternoon. The start of the timing sequence was at 1 PM and, due to the strong wind, most boats finished by 2:30 pm, in plenty of time for the afternoon festivities. On-shore activities from 3—6 PM included live music by Island Breeze, a delicious catered dinner by Fresh Prep Kitchens, a Silent Auction, awarding of raffle prizes consisting of donations by local businesses and individuals, and the awarding of trophies to the winning yachts. SCYC Director Barry Whittall and BBBS volunteer Keri Petersen served as emcees for the event and more than 350 people were in attendance. At the conclusion of the afternoon, a drawing for the 2 grand prizes in the Special Raffle saw Mark Lowary as the winner of the one-week stay in Hawaii with $1,500 cash and Sandi Eason as the winner of the 3-night stay in Las Vegas with $400 cash. 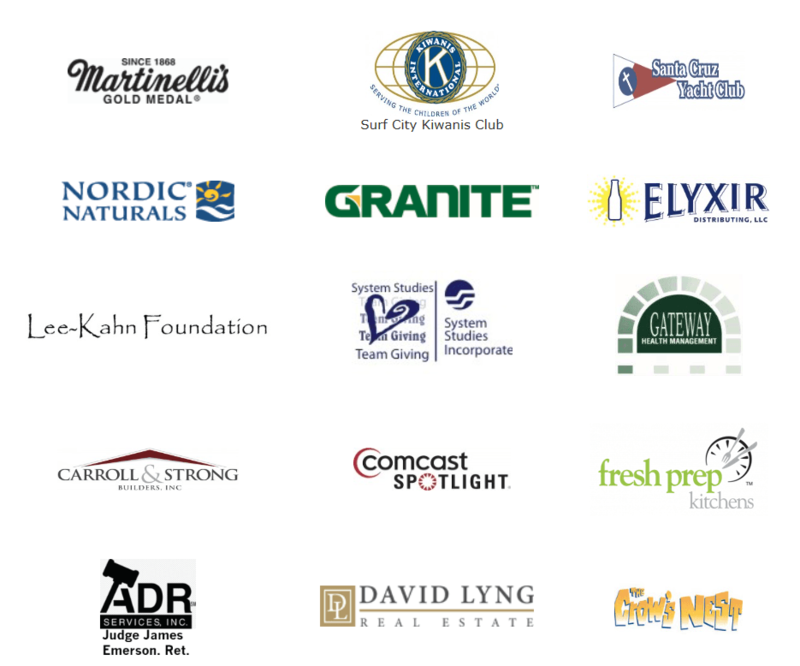 Stan & Maria Bispo; Devcon Construction; Don & Erin Conant; Dunbar Productions; Hogan Land Services; Lighthouse Bank; Marianne’s Ice Cream; Santa Cruz Beach Boardwalk; Santa Cruz Rotary Club; Scarborough Lumber; Team Duet, Team Gandalf; Totlcom, Inc; Vaughn Marketing Group; Vrolyk Ventures; and Barry Whittall.